"Barinix is a great designer with a lot of patience and ideas. We are super happy with our design and Barinix. " "Quick turn around time requested for a capability statement. 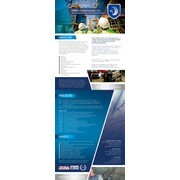 We were very happy with the responsiveness and professional documents created by Barinix. We will definitely be a repeat customer." "Barinix was very responsive, provided excellent design work, and turned our project around quickly. I would highly recommend him!" "Very professional and imaginative, has accepted all my change proposals and understood perfectly well what I was looking for. He is also very quick in responding to messages and arranging new versions of the design. Would recommend it to anyone, great j..."